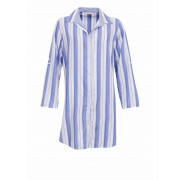 Cyberjammies presents the Vienna striped nightshirt in blue and white. Featured with a contrasting spot print on the label collar. 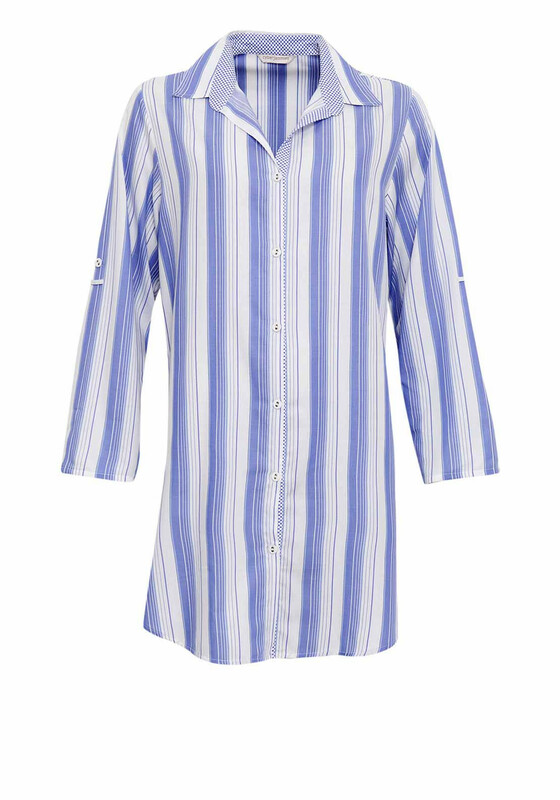 It features a front button fastening and the sleeves can be rolled or left long for comfort.